The recent firestorm over the potential sale of P & O, a British-owned operator or terminals in six major American ports, to a company controlled by the emirate of Dubai, threatens to damage an important, maybe vital security partnership between the U.S. military and the United Arab Emirates, formerly known as the Trucial States or the Trucial Coast. Dubai is the second largest of the seven , but probably the most in tune economically with the west. It is a major banking and trading center not only in the Persian Gulf and Middle East, but around the world. Dubai's emir, Shaykh Muhammad Bin Rashid Al Maktum serves as the prime minister of the UAE. "Shaykh Mo," as he is known in defense circles, is the former minister of defense and a long-time ally of the United States. I served as the defense attache at the American Embassy when the shaykh was the defense minister. The UAE occupies a strategic location on the Arabian peninsula, with ports on both the Persian Gulf and Gulf of Oman. It sits directly opposite Iran and practically straddles (with a small piece of Oman) the important Straits of Hurmuz, through which passes 25 percent of the world's oil traffic every day. For decades, the UAE has allowed the United States Central Command access to its military facilities and commercial ports. Both are vitally important to America's ability to project military power into the Persian Gulf and the Indian Ocean. In addition to allowing the basing of U.S. Air Force (and other coalition air forces during Operation Desert Storm) combat aircraft at Al-Dhafra air base, it allows the U.S. Navy to use the airfield at Fujayrah on the Gulf of Oman. More importantly, however, is access to the port facilities in the Persian Gulf at Mina' Jabal 'Ali and Mina' Zayid, as well as Fujayrah and Khawr Fakhan in the Gulf of Oman. It is access to these world-class ports that allows the U.S. Navy to operate effectively in this part of the world. The port at Mina' Jabal 'Ali is so large it is visible from space with the naked eye - it is one of the few ports in the world that can dry dock an aircraft carrier. Without the excellent logistics and maintenance available in the UAE's ports, American ships would have to return to the United States for major maintenance. The UAE's ports are so important that the country hosts more U.S. Navy port calls than any other foreign country in the world. When I was the defense attache, I had a five-person Port Liaison Element at the embassy that did nothing but arrange these port calls. The Central Command had two officers in Dubai that did nothing but arrange logistics and pay the bills. While the Central Command's Navy headquarters is in Bahrain, it's ships use Emiri ports - with no security problems. We need to keep this in mind as we discuss the impending sale of P & O to Dubai. 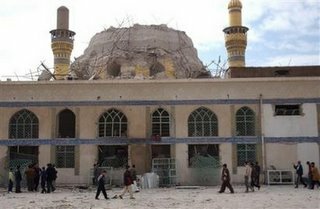 On February 22, a group of insurgents mounted an attack on the Al-'Askari Mosque (also known as the Golden Mosque or Al-Hadi Mosque) in Samarra'. The attackers placed explosives on the 100-year old dome, causing severe damage. This attack was most likely the work of the Abu Mus'ab Az-Zarqawi faction - it is in keeping with his stated goal to start a civil war between the Sunni and the Shi'a. Although this is but one in a series of attacks Shi'a houses of worship, this one takes on special significance - this is a major shrine. 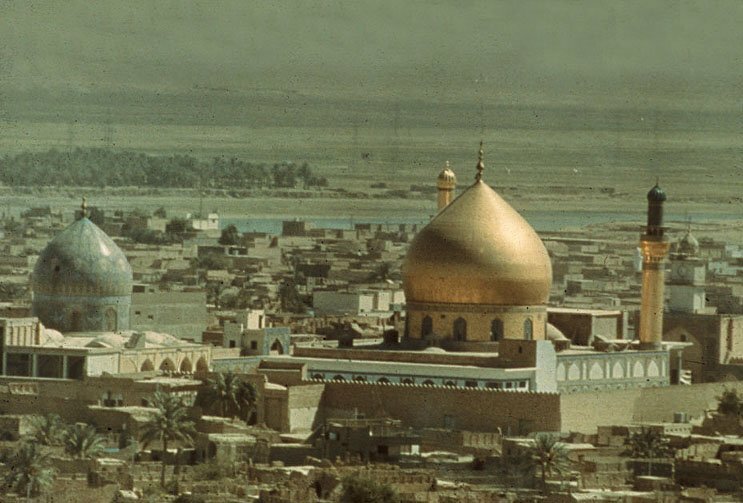 Samarra' is located in the Sunni triangle about 75 miles north of Baghda - it is one of the four Shi'a holy cities in Iraq, along with An-Najaf, Karbala' and Baghdad. The main shrine is the Golden Mosque, also known as the Imam 'Ali al-Hadi and Imam Hasan Al-'Askari mosque, named for the 10th and 11th imams of Shi'a Islam and two of the "14 Infallibles." The two ninth-century imams are buried in the mosque. Samarra' is also the birthplace of the twelfth imam, Imam Muhammad Al-Mahdi (and son of 11th Imam Hasan Al-'Askari). His shrine - not his tomb - is adjacent to the Golden Mosque. It is not his tomb, because in "Twelver" Shi'a, so named for the 12th imam, it is believed that he is still alive but in hiding and will return prior to the day of judgment to establish justice on earth. Twelver Shi'a are dominant in Iraq, Iran, and Lebanon - it is the main sect of Shi'a Islam. Samarra' is also the site of a historic Sunni mosque with the famed spiral minaret - the "Malwiya" - (165 feet high), dating from the 9th century. It was also attacked last year, but damage was minimal. Although Grand Ayatollah 'Ali As-Saystani has called for calm and forbidden attacks on Sunni mosques, Shi'a groups have begun retaliatory attacks on some Sunni mosques. There is a history of sectarian violence on Fridays, the Muslim holy day. This Friday might prove to be particularly bloody. American and Iraqi forces have already began increased security around mosques in anticipation of violence. Is there something special in this tape? Not really. It contains the same threats we have seen before. Specifically, the tape offers a truce to the United States, threatens an attack on American soil, states that he will not be captured alive, and compares American actions in Iraq to those of Saddam Husayn. So why was the tape re-posted almost exactly one month later? It is not uncommon for Islamist websites to repeat previously aired tapes. One could make the case that the release was timed to coincide with the recent publication of additional photos of the Abu Ghurayb prisoner abuse by an Australian network and the recent spate of violence over the Danish cartoons depicting the prophet Muhammad in an unfavorable light. All in all, nothing to get excited about. Yemen - Ally in the War on Terror? Twenty three Al-Qa'idah prisoners escaped from a Yemeni maximum security prison by tunneling from the prison to the women's room of a mosque located hundreds of feet outside the prison compound. The imam at the mosque claimed that his warnings that something was going on under the mosque were ignored. In fact, the prison was unaware that the prisoners were missing until the imam notified the government that he had discovered a tunnel exit in the mosque. Included in the 23 escapees were Jamal al-Badawi, mastermind 2000 attack on the USS Cole in Aden harbor, and Jabir Al-Banah, an American citizen wanted in New York state for terrorist activities. The FBI is offering a $5 million reward for Al-Banah's capture. This "escape" raises many questions, not the least of which is just how committed is the country of Yemen to support America's war on terrorism. This is a maximum security prison in the capital city of Sana'. Twenty three prisoners in a maximum security compound in the capital city were able to dig a tunnel and escape undetected until someone outside the facility told the authorities about it? Hard to believe. Obviously, the prisoners had to have some assistance. Initially, the thought was that the tunnel may have been dug from outside the prison, starting at the mosque and terminating in the prison. The imam claims this is not true, and he was detained by Yemeni authorities for interrogation on this issue. The most likely explanation is help from the prison staff. Many of them are being questioned. Ignored warnings, all the prisoners in one cell, their ability to tunnel hundreds of feet, their ability to end up exactly in the section of the mosque that would be hardest to detect, prison officials unaware that anyone was missing - one has to wonder how firm Yemen is committed to support our war on terrorism. On Tuesday, February 14, Saddam Husayn and his seven co-defendants again appeared in court, ostensibly against their will. Today, Saddam was dressed in a dark suit rather than the traditional Arab robe he wore yesterday. His half-brother Barzan Ibrahim Al-Tikriti continued to show his disdain for the proceedings by wearing an undershirt and athletic trousers. Saddam claimed that the defendants were in the third day of a hunger strike to protest being forced to appear in court, and being forced to appear without their defense team. The defense team was present outside the courtroom earlier, but departed, continuing their boycott of the proceedings to protest the selection of Ru'uf 'Abd Ar-Rahman as the judge. Today could have been called "The Barzan and Saddam Show." Three witnesses appeared before the tribunal today. The first witness appeared behind a curtain, and was identified as an intelligence officer working in Dujayl, the site of a failed assassination attempt against Saddam Husayn in 1982. From his thick Iraqi slang, he appeared to be a low-level officer, probably from Dujayl itself. He accused Barzan, director of the Iraqi Intelligence Service (Al-Mukhabarat) of ordering the reaction to the failed attempt. Barzan refuted the testimony, claiming that at the time of the assassination attempt, he was not in charge of the IIS, but rather was in charge of Presidential security. The second witness, Fadhil Al-'Azawi, a retired diplomat and former deputy director of the IIS, claimed to know nothing in detail about the incident in Dujayl and that he was compelled to appear. The third witness, Hamid Yusif Hamadi, a retired minister of culture and former secretary to the president, also claimed he had no direct knowledge of events in Dujayl other than what he saw in the press or heard second hand from other government officials. Most of the session was taken up by continued grandstanding by Saddam and Barzan. Saddam continued his challenges to the court's legitimacy and the treatment afforded the defendants. Barzan, surprisingly, was quite coherent in his cross examination of the witnesses, although most of it was declarative and not interrogative. There is a reason for BArzan's lengthy diatribes. The witnesses thus far have been able to fairly well implicate Barzan, although it would be difficult to find Saddam Husayn guilty as no direct evidence against the former president has yet been presented. The judge appears to be frustrated, however, much of it is probably his own fault. He has failed to silence the outbursts of Saddam and Barzan. Further, almost every witness that might be able to directly implicate Saddam has claimed no memory of the events of 24 years ago. The presence of the witnesses was merely an opportunity for Saddam and Barzan to grandstand. Thus far, it appears that there is probably enough evidence to support a guilty verdict against the seven co-defendants - Barzan's explanations notwithstanding - but so far there has been no "smoking gun" against Saddam Husayn. The trial will resume on February 28th. In a speech at the Jiddah Economic Summit, former Vice President Gore accused the United States of abuses in the treatment Arabs in the country after the Al-Qa'idah attacks of September 11, 2001. His comments come at a time when the Muslim world is already being whipped into a religious fervor over cartoons appearing in a Danish newspaper in the fall of 2005. Even if the comments are technically accurate, and I have my doubts as to that, the degree of exaggeration and hyperbole raise serious concerns about the former vice president's motives, not to mention his grasp on reality. Is he trying to torpedo American foreign policy? "Arabs in the United States had been indiscriminately rounded up, often on minor charges of overstaying a visa or not having a green card in proper order, and held in conditions that were just unforgivable." I think the word the vice president might find a better descriptor is "systematic." If you are looking for people that might be up to no good, you probably want to start with people that are breaking the law. Overstaying a visa or not having a green card are violations. Are we not to enforce our laws? I would like to know the "unforgivable" conditions - sort of like a Saudi jail, maybe? "The thoughtless way in which visas are now handled, that is a mistake. The worst thing we can possibly do is to cut off the channels of friendship and mutual understanding between Saudi Arabia and the United States." Maybe Mr. Gore should remember that 15 of the 19 hijackers were Saudi nationals. The Kingdom of Saudi Arabia is an incubator for Islamic fundamentalism. Millions of dollars of private Saudi money has found its way into the hands of terrorist organization, or at a minimum to hardline madrasahs in Pakistan that preach hatred and intolerance. Pardon us if we want to take a look at who from Saudi Arabia wants to enter the United States. The trial of Saddam Husayn, which has been ongoing fitfully since November 2005, resumed today. Unlike the last two sessions earlier this month (February 1 and 2), Saddam and his co-defendants were present and as expected, caused numerous disruptions. According to Saddam, he was forced to appear. Given how disruptive he was, I am surprised the judge did not reconsider having Saddam in the courtroom. Saddam began his disruptive behavior as he and his seven co-defendants were brought into the courtroom. Actually, Saddam was outdone by his half-brother, former Iraqi Intelligence Service (Al-Mukhabarat) chief Barzan Ibrahim Hasan Al-Tikriti. Saddam began with a loud outburst that included "Long live Iraq, long live the ummah (Islamic nation), down with the traitors, down with Bush." He then complained that he was forced to appear against his will and that his legal team was not present (they are boycotting the proceedings). Of course, Saddam questioned the legitimacy of the court. He also demanded that he be called the "current" rather than "former" President of the Republic. Barzan complained that the Americans on the military installation where he is being held have refused him medical examinations and have withheld medication. He asked the judge to order the Americans to release him so he could obtain medical treatment. The judge told him to have the results of a medical examination be sent to the court. As the proceedings began, he turned his back on the judge and sat on the floor. He only got up to question the last witness, a former Intelligence Service officer - and did a rather effective job. The session, once allowed to get underway, began with the reading of 23 witness statements, all fairly similar accusing the defendants of murder, torture, unfair imprisonment and destruction of property. In the Iraqi system, the judge - who heads a nine-member tribunal - can take these statements as evidence. The Iraqi system is based on French and Egyptian legal norms. As such, the judge functions as the examining magistrate. He conducts the investigation, he directs examination of witnesses, and ultimately determines innocence or guilt. The first live witness was Ahmad Khudhayr Hasan As-Samarra'i, former head of the Presidential diwan, sort of like the White House chief of staff. He served in this position from 1984 to 1991, and again from 1995 to 2003. He was not appearing by choice. Many times when asked questions by the prosecutor, he said he did not remember, citing the over 20 years since the incident. Interestingly, he said he doubts there are documents directly tying Saddam to the crime since this was just "a simple matter, routine." The second live witness was Hasan Al-'Ubaydi, the director the external service of the Iraqi Intelligence Service. He also did not remember anything specific pertaining to the incident, claiming he was in a six-month training course at the time. Saddam found the loss of memory of the two witnesses to be amusing. The trial will resume Tuesday (February 14). As everyone gear up for the Oscars, Hollywood's annual celebration of itself, one name keeps making headlines - George "Looney" Clooney. Clooney first came to my attention shortly after the 1999 release of Three Kings, a movie about four Army soldiers seeking Iraqi gold in the aftermath of Desert Storm. For an Arabic linguist and Gulf War veteran, it was interesting, even if the story line was unrealistic, but hey, it's the movies! In the inevitable publicity appearances to promote the movie, Clooney appeared on the usual late-night shows - Leno, Letterman, etc. While he might be a good actor, his grasp of Middle East geopolitics is wanting. I chalked it up to youth and inexperience. Acting in a movie about the war does not make you an expert about the war. Clooney will no doubt be lauded for his performance in Syriana, a film about a CIA officer in the Middle East, based loosely on a book by my colleague Bob Baer. Again, Clooney used the round of late-night shows to spout off about the region. In November, he remarked that the war in Iraq was about oil, not regime change. He explained - based on his in-depth knowledge of the region - that if it was about regime change, there were other regimes we could have started with, like Robert Mugabe. He added, "But then, Uganda doesn't have any oil." NSA Surveillance - Why Was FISA Not Enough? This article was posted on the "Hardball with Chris Matthews" blog on February 3. During his January 23 remarks to the National Press Club, Deputy Director of National Intelligence General Mike Hayden gave some insights as to why the administration believes that the existing Foreign Intelligence Surveillance Act (FISA) warrant procedures are ineffective in monitoring communications between suspected Al-Qa'idah operatives in the United States and overseas locations. General Hayden is the former director of the National Security Agency (NSA), the organization charged with this operation - it was during his tenure that the operation began. The Attorney General made similar remarks the following day. According to the FISA law and NSA regulations, intercept of international communications originating or terminating in the United States must be done under the authority of a warrant issued by the FISA court, or in certain instances, the authority of the Attorney General. Shortly after the attacks of September 11, 2001, the President directed NSA to intercept these communications (including telephones, cell phones and emails) without FISA warrants. However, FISA warrants are not that hard to get - why not use the existing system that has been in existence since 1978? The General explained the situation in broad terms, so as not to get into sensitive operational details. Having worked in the communications intelligence business for many years, I was able to discern some of the challenges. Technology and access to it have evolved in the last 25 years - the 1978 FISA has not. Email and cell-phones were either unheard of or not readily available then in the parts of the world we are dealing with, primarily the Middle East, North Africa and South Asia. The people we are targeting now have multiple one-time use cell phones, anonymous email addresses accessed from a variety of public locations, use commercially available encryption system, etc. FISA warrants, while generally easy to obtain, still require an application process. The key items you must have to obtain a warrant, in addition to the reason for the intercept, are a name (or unique identification) and the communications medium you plan to exploit. Given the realities of modern personal electronic communications, you may have neither. Let me explain by describing a hypothetical scenario based on events that have appeared in the media. Based on human intelligence, the Pakistani intelligence service identifies and raids an Al-Qa'idah safehouse in Karachi. Inside the house, they find several laptop computers, cell phones and notebooks with communications procedures. The numbers in the cell phones include numbers in the United States. There are no names associated with these numbers. There are indications of when calls were made, but no idea who was on the other end of the call. (It could also have been the same with email addresses in the computers.) Obviously, the identity of that person and the content of the call are of interest to U.S. intelligence, homeland security and law enforcement agencies. The "normal" procedure would be to obtain a FISA warrant to mount electronic surveillance against those numbers (or email addresses). The problem is that the owner/user of those numbers are unknown. Obtaining a FISA warrant on this information alone would be problematic, but I don't think anyone would argue that it is important that these communications be monitored. You may have noticed a time delay between these safehouse raids and any public acknowledgement or announcement. This is to allow the intelligence communities, including NSA, to exploit their newly acquired knowledge. Once the bad guys are aware that you have acquired their current phone numbers and communications procedures, they change immediately to new ones. In 2002, there was a move to amend the existing FISA rules, to bring them in line with the technological advances of the last 25 years. The administration was concerned however that the resultant public debate would tip the targets of the operation that their communications would become vulnerable to exploitation. Perhaps it would be useful to explain which intercept operations require a FISA warrant. In the above scenario, let's assume an Al-Qa'idah operative is to make a trip to the United States via Paris. He calls and emails his Al-Qa'idah support contacts in Paris and New York. The communications from Karachi to Paris are totally external, so no warrant it required. The communications from Karachi to New York, however, terminate in the United States, thus requiring a warrant, despite it being an international communication. Obtaining a FISA warrant on just a phone number or email address is difficult, especially since the email can be checked in virtually any library and most coffee shops in the country. Once the operative arrives in the United States, any of his communications back to Paris or Karachi require a warrant, since he is in the United States. If you know who he is, obtaining a FISA warrant would be routine. However, any of his communications between himself and the emails and phone numbers we know to be in the United States are solely domestic communications and now the purview of the FBI. They must show probable cause to obtain a warrant. It can be confusing and time consuming. Anytime you involve more than one agency, you also run the risk of poor coordination. I know Mike Hayden, and I know many people that have worked and still work at NSA - I myself served there. These are honorable, dedicated intelligence professionals who take their responsibilities - and their legal obligations - seriously. Although I don't have all the details, or even enough to make an informed determination, right now I am willing to give them the benefit of the doubt that the FISA was not sufficient for them to monitor the people that we really need to be watching. After a series of delays and courtroom antics, the trial of Saddam Husayn and seven co-defendants resumed on February 1. This was the first session under the supervision of the new judge, Ru'uf 'Abd Ar-Rahman. Ironically, Judge 'Abd Ar-Rahman is a Kurd from the village of Halabjah, a town that was bombarded by the Iraqi Air Force with chemical weapons, killing an estimated 5000 people. This is the first in an expected series of trials of Saddam. This trial charges the eight defendants with the murder of 140 Iraqi Shi'a in the village of Dujayl in 1982 after an attack on Saddam's motorcade. If found guilty, the defendants could face the death penalty. The proceedings went smoothly, probably because of the notable absence of Saddam Husayn and four of his co-defendants, including his notorious half brother and intelligence chief Barzan Ibrahim Al-Tikriti and former vice president Taha Yasin Ramadhan. Under Iraqi law, they do not have to appear. Although the prosecutor asked the judge to compel them to appear, the judge opted to continue the trial without all defendants present. For the session on February 2, none of the eight defendants were present in court. It was an interesting scene - no defendants in the dock. Judge 'Abd Ar-Rahman has taken control of the trial, not tolerating the courtroom antics we saw under the previous judge, Rizkar Muhammad Amin (also a Kurd). On January 28, when Saddam attempted to make a statement out of turn, 'Abd Al-Rahman ordered him to be quiet, Saddam said he was leaving the courtroom. In what was a rather comical exchange, the judge responded by saying that Saddam couldn't leave because he (the judge) was expelling him. This went on for a few minutes. It was reminiscent of the "you can't fire me because I quit" routine. The judge is running the trial efficiently. The Iraqi system is different than the U.S./English system. Iraqi criminal law is based on a combination of Egyptian and French procedures. There is no jury - the tribunal will determine guilt. The judges of the tribunal run the investigation as well as the trial. Evidence can be collected prior to the trial. Once court convenes, the judge takes testimony and asks the questions. After he is done with a witness or complainant, the prosecutor may propose questions. If the judge concurs, the questions are put to the witness. Then the defense attorney is afforded the same opportunity; the defendant may also speak at this time. In the sessions of February 1 and 2, there was a much direct testimony as well as a lot of what a U.S. court would consider hearsay. The testimony of the complainants and witnesses was riveting and disturbing. The men and women described in detail how they were arrested, interrogated, tortured and imprisoned after the failed attack on Saddam in 1982. The witnesses directly implicated seven of the eight defendants, including Barzan and Taha Yasin. There was no direct evidence presented that implicated Saddam Husayn other than claims that he signed the orders. There was no proof presented of Saddam's guilt. Given the Iraqi system, direct evidence and proof of Saddam's guilt may already be in the hands of the tribunal. This is the first trial of what may turn out to 14 trials of Saddam. Although many think that they should execute him if he is found guilty, the Iraqis want to hold the entire series of trials to fully investigate and exhibit the atrocities committed by the Saddam Husayn regime. Andrea Mitchell is NBC News' Chief Foreign Correspondent. I often provide analysis for her when it deals with the Middle East. I was in New York when the latest tape from Ayman Az-Zawahri was released and provided much of the input for her article below. A White House official immediately said that the videotape shows that Ayman al-Zawahri is "frustrated and angry" and on the run, but the visual evidence is exactly the opposite: intelligence officials confirm that this tape shows a strident al-Qaida leader who managed to get a tape out very quickly after this month's attack in Pakistan. On the tape, Zawahri is very forceful, not only saying that the U.S. did not get him during its strike, but threatening again to deliver body bags to the Pentagon. He appears to be very self-confident and seems to feel safe in his security. The quality of the Zawahri tape is notable in that he is clearly in a studio -- delivering a well-produced message. This is in stark contrast to the scratchy audio quality of the Osama bin Laden tape that surfaced 10 days ago. And unlike the Zawahri audio tape on Jan 20, this is clearly current, referring to the Pakistan strike. It is a "proof of life" message aimed both at his followers and at the American public. U.S. intelligence apparently had no warning of the al-Zawahri tape, but al-Jazeera was well prepared for it. 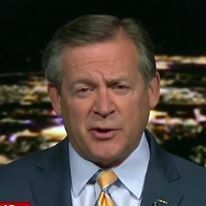 When they first broadcast the tape, NBC analyst and Air Force Lt. Col. Rick Francona, ret., points out, they had a spokesman ready in London to reply and their own analyst, Larry Johnson, pre-positioned in the al-Jazeera Washington bureau. The new message is clearly an attempt to undermine American support for the war in Iraq. Zawahri refers to the "truce" bin Laden offered and warns Americans that they are wasting lives and treasure in Iraq and Afghanistan. Francona describes this and the bin Laden tape as part of a calculated al-Qaida psychological warfare effort. Ironically, these al-Qaida tapes seem to be backfiring. Bush's support for the war on terror goes up every time one appears.